Five star developer David Wilson Homes is reminding Nottinghamshire house hunters that now is the best time to take the first or next step on the property ladder after an increase in UK house prices. Recent findings from the Office for National Statistics (ONS) showed that whilst house prices have risen significantly across the country, the East Midlands has witnessed the greatest growth by 6.5%*. In the year to August, the average UK home rose in value by 3.2%, ensuring keen property seekers should be taking this opportunity to make their dream move as house prices continue to inflate. In light of the recent research, David Wilson Homes is urging homebuyers to act quickly to secure a new property and with schemes such as Help to Buy and Part Exchange available, it’s now easier than ever to make a move. “The findings from the Office for National Statistics have shown a great increase in East Midlands house prices and with a decision on Brexit expected in due course, modern homebuyers are understandably facing a level of uncertainty. “As a leading housebuilder, we strive to reassure our potential customers that now is as good a time as any to take their first or next step on the property ladder. The Sales Advisers at each David Wilson Homes development across the county are on hand to recommend independent new build mortgage advisers that will review the whole of the mortgage market and make recommendations tailored to buyers needs with no obligation. These specialists will complete all of the application paperwork and liaise with the lender throughout the process, meaning customers can benefit from a speedy and comfortable service. The homebuilder thoughtfully handpicks the locations of its developments across Nottinghamshire, ensuring the value of the properties are reflective of a prime location close to main road and rail commuter links and local amenities. 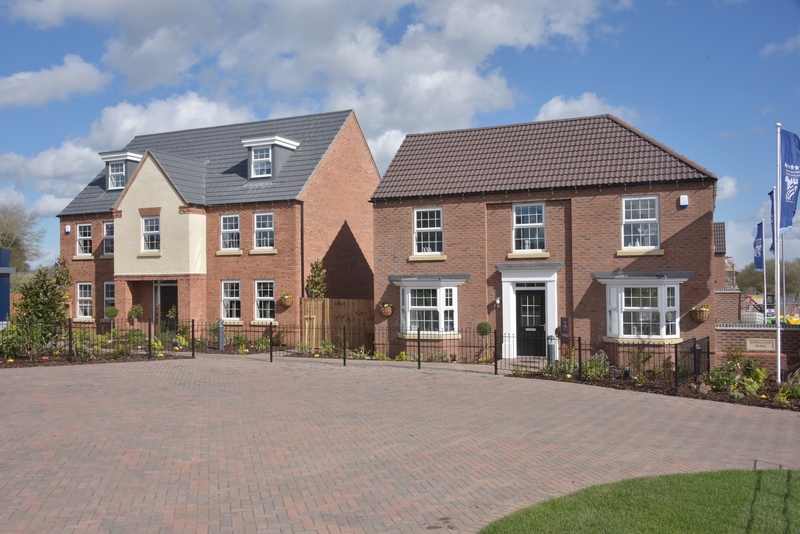 David Wilson Homes East Midlands currently has properties available to reserve at the following developments across the county: Edwalton Park in Edwalton, Hollygate Park in Cotgrave, Berry Hill in Mansfield and Romans’ Quarter in Bingham. Eager homebuyers can visit the David Wilson Homes website to learn more information about mortgages and why now is a great time to purchase a home http://www.dwh.co.uk/why-buy-new/great-time-to-buy/. For further information about any nearby developments, please call the David Wilson Homes sales team on 033 3355 8483 or visit www.dwh.co.uk.